In 1972, while hitchhiking across the United States, Robert Gumpert found himself on the side of the road in Cabin Creek, West Virginia waiting for a ride. During a shift change at the coal mine nearby, seeing a steady stream of miners convinced him that he needed to come back to photograph the area. 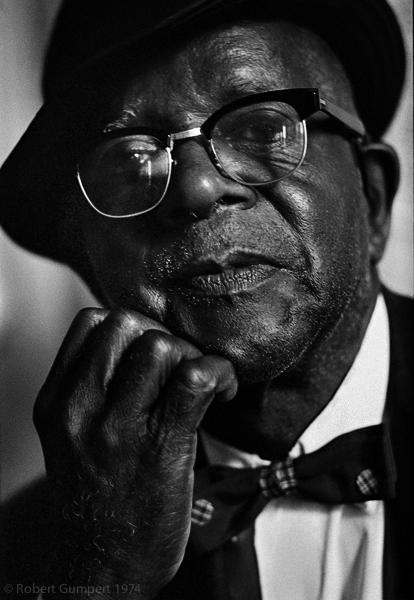 Back in Los Angeles in late 1973, his conversation with the National Lawyer’s Guild connected him to Charleston, West Virginia. While there, he learned of an ongoing strike in Harlan County, Kentucky at the Brookside and Highsplint mines. 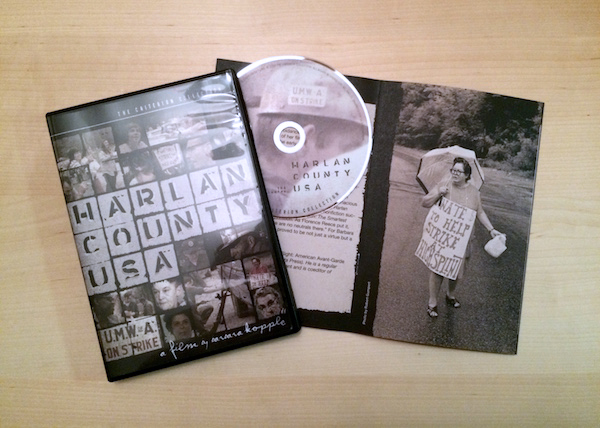 At the same time, Barbara Koppel was making what would later become the well-known, Academy Award-winning documentary Harlan County U.S.A.
Last month, Gumpert was kind enough to participate in a Skype discussion about his experience making pictures in Appalachia as well as share some of his work. 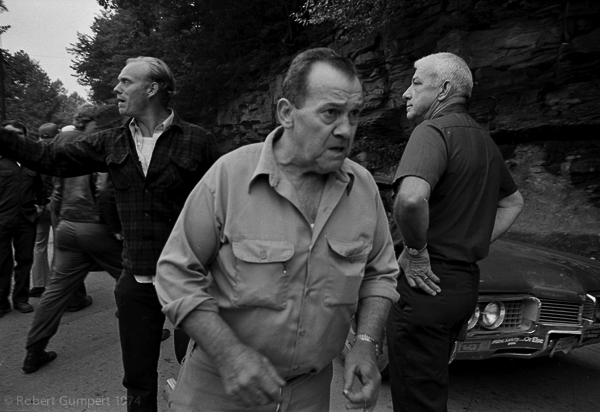 For three months, Gumpert worked and lived in Harlan County photographing the strikes and the impact on the families and communities like Coxton and Evarts. All of this was happening not long after the killing of Canadian filmmaker Hugh O’Connor in neighboring Letcher County, which served as the centerpiece of Elizabeth Barret’s Stranger With a Camera. Though this was Gumpert’s first major project, he was aware of the power of pictures and how they can be used to perpetuate stereotypes. A few times, Gumpert mentioned that newspaper reporters passing through the area asked for specific types of pictures, which he knew would be used to support an expected narrative about Appalachia. He flatly refused. However, he didn’t refuse to show poverty and hard times, he insisted on not making it the center of the story. Back in Los Angeles, Gumpert began processing his film, making contact sheets, and selecting images for print. 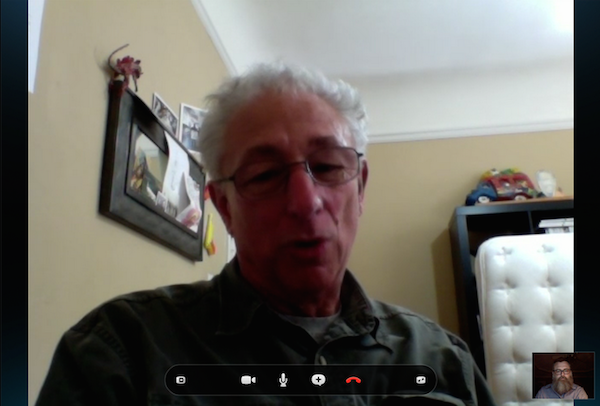 Working with a friend, Rick Fichter, who was a film major at USC, the project was broken down into three parts: the strike, inside the mines, and a family. He printed a show for a local bookstore intending to hang the photographs of the underground mine at approximately 29”, the height of the mine he visited. Realizing that most people wouldn’t make the effort to view the photos in that manner, he opted to mark the length of the wall at 29” to serve as a visual marker for the viewers. All photographs © Robert Gumpert, 1974 unless otherwise noted. All rights reserved. 1. 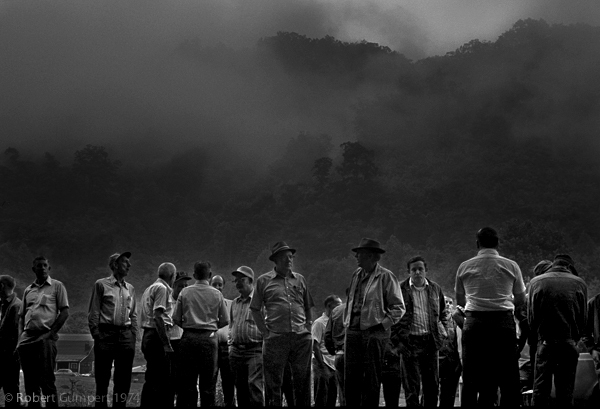 Harlan County, Kentucky: Morning on the Highsplint picket line. 4. Harlan County, Kentucky: Picket line at the Highsplint mine. The governor of Kentucky sent in the state police. 5. 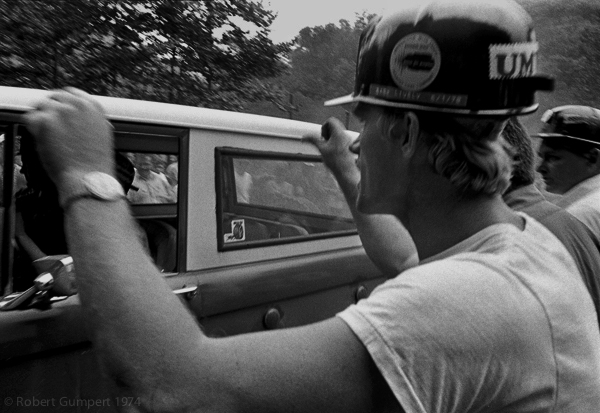 Harlan County, Kentucky: Basil Collins miner foreman and leader/manager of the scabs confronts picketers with a 45 in his right pocket. 6. Harlan County, Kentucky: UMWA on a 13-month strike at Brookside mines and on the pick line at Highsplint mine. A meeting of the Brookside women's support group. 7. 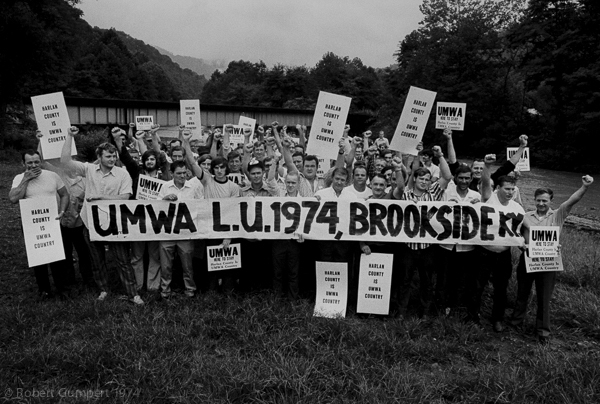 Harlan County, Kentucky: UMWA on a 13 month strike at Brookside mines and on the pick line at Highsplint mine. Women of the Brookside women's support group talk with Harlan County sheriff Billy Williams at a roadblock. 8. Harlan County, Kentucky: On the pick line at Highsplint mine. 9. 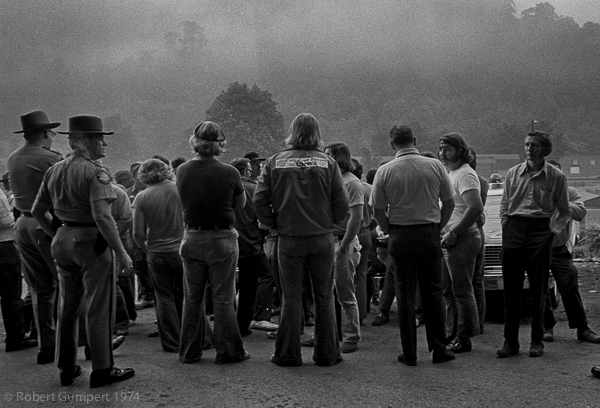 Harlan County, Kentucky: Coal miners meet before heading to the picket line. Many local, small businesses supported the UMWA, the miners, and the strike. 10. Harlan County; Kentucky: Picket line at the Highsplint mine. The Kentucky governor sent in the state police and they proceeded to keep the strikers from blocking the scabs from working. 11. Harlan County, Kentucky: Scabs and gun thugs led by Basil Collins confront strikers on the pick line at Highsplint mine. 13. Harlan County, Kentucky: Highsplint picketers move to another mine. 14. Harlan County, Kentucky: Funeral of Lawrence Jones, killed by a scab during a confrontation away from the picket line. 15. Harlan County, Kentucky: Funeral of Lawrence Jones, killed by a scab during a confrontation away from the picket line. 16. Harlan County, Kentucky: Funeral of Lawrence Jones, killed by a scab during a confrontation away from the picket line. 17. 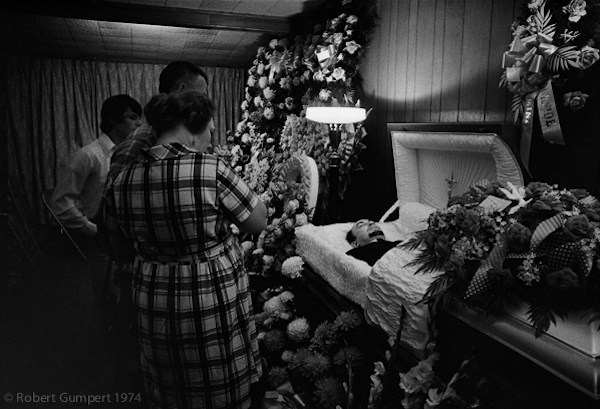 Harlan County, Kentucky: The wife and daughter of Lawrence Jones at his funeral. Mr. Jones was killed by a scab during a confrontation away from the picket line. 18. Retired miner at a Charleston, West Virginia rally for Harlan County, Kentucky strikers. 19. Charleston, West Virginia. Meeting of coal miners called by the United Mine Workers of America (UMWA). 20. Coal mining family at home just outside of Everts, Harlan County, Kentucky. After a 13-month strike, they won the right to have an election. 21. Harlan County, Kentucky: striking father Samson Blevins and his kids at home near Everts, Harlan County, Kentucky. 22. Coal mining family at home just outside of Everts, Harlan County, Kentucky. After a 13-month strike they won the right to have an election. 23. 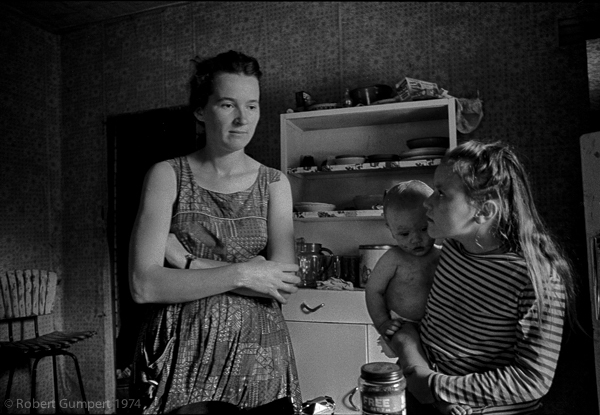 Harlan County, Kentucky: striking father Samson Blevins and child at home near Everts. 24. Coxton, Kentucky. Old miner with black lung and the breathing equipment he needs. 25. Harlan County, Kentucky: striking father Samson Blevins at home near Everts. 26. The Blevins family having a meal together at home. Samson Blevins, a coal truck driver, was on strike at the Highsplint mine. 27. 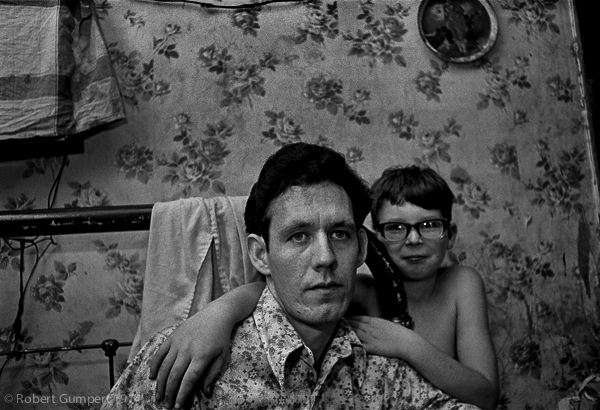 Harlan County, Kentucky: Father and son in the Everts, Kentucky apartment above the Blevins family. 28. 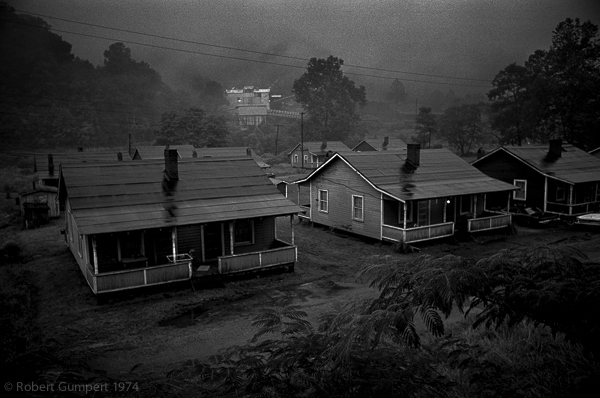 Harlan County, Kentucky: The Coxton, Kentucky home of a coal miner. 29. Harlan County, Kentucky: Family living upstairs from the Blevins, Everts, Kentucky. 30. 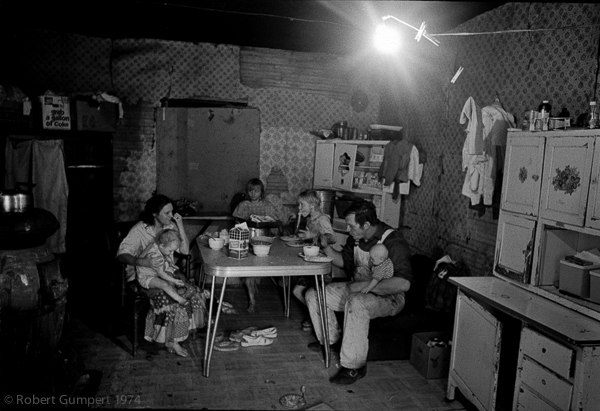 1974: Coal mining family at home just outside of Everts, Kentucky. 31. Harlan County, Kentucky: Coal mine, not on strike and not union, mining 29-inch coal seam. 32. Harlan County, Kentucky: Coal mine, not on strike and not union, mining 29-inch coal seam. 33. Brookside coal camp, early morning with the mine in the background. Harlan County, Kentucky. 34. Harlan County, Kentucky: Victory photo after the miners of the Highsplint mine voted to join the UMWA.